Some people just unknowingly fall into a genre of music, without any care to the rhyme or reason that got them there in the first place. Maybe it was a mixtape from yesteryear or a MySpace page where you couldn’t shut the music off (I, too, am guilty of wondering how my collection of late 90s screamo really came to be). However, this is not the case with my current and longest obsession, house music; I can trace it all back to one fateful day and one amazing artist: The Bloody Beetroots. Sitting watching MTV on a cold fall day, his remix of “She’s A Maniac” erupted from the TV, a song that grabbed me and has never let go. That was the day I found my calling, and soon “Needle In The Hay” and “Gold Lion” slowly slipped from my iPod, making way for better heroes, like “Dimmakmmunication” and “Yeyo”. My new pulse – 128 BPM. 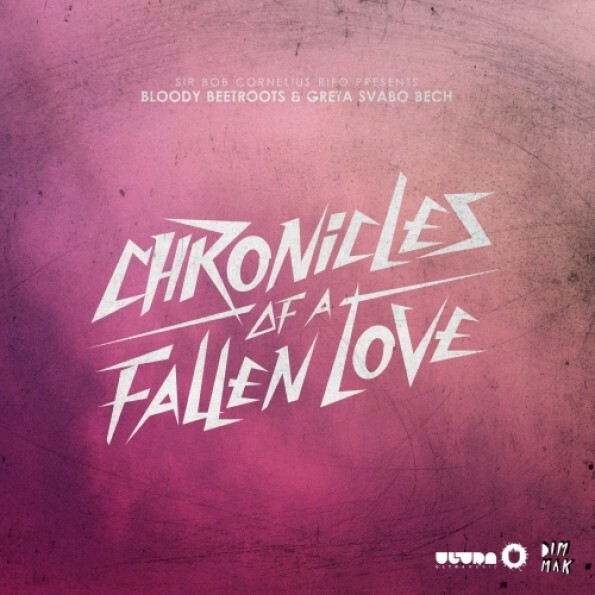 Long story short, Sir Bob Cornelius Rifo (who often plays with Tommy Tea) was my gateway into the world that is house music, and today marks the release of his new single, “Chronicles Of A Fallen Love” with the lovely Greta Svabo Bech. The track begins dark and brooding, a deep bassline pulsing through your veins until Bech’s soothing vocals sing out over it. Like the best of Beetroots, you don’t have to wait long for this gritty, circulating melody to cut through the song. It really is like love, possessing these moments of tender sweetness, which are suddenly torn apart by utter chaos. If you have yet to see a live set from The Bloody Beetroots, check Facebook for select dates in the U.S. and a whole handful in Australia.